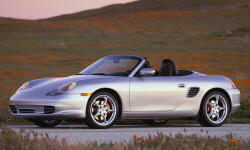 Porsche Boxster Exterior Styling Pros and Cons | Page 1 of 1 | Why Not This Car? Although &quot;beauty is in the eye of the beholder,&quot; in my opinion (and those of many people who have commented to me on the road), the Porsche Boxster&#039;s design is sleek and timeless. I like how the entire body is aerodynamically functional. Every part of its design helps it go faster. Clean lines, unclttered, real roadster appearance, low & wide Classic stance, Looks very well designed as in well thought out. Looks very expensive/exotic. Very classy yet connotes power. I like the slightly humped fenders, nicely sculpted nose, and side engine air intakes (real, not fake like Mustangs!) The long rear deck takes some getting used to, but I like it now. I believe that the exterior styling is well balanced and timeless. 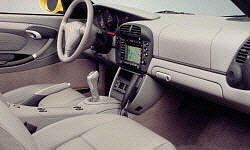 Since the car was designed as a roadster, top-down driving is natural and very enjoyable.